UM art professor Billie Grace Lynn had put her “American Masks” sculpture – three Ku Klux Klan hood made out of American flags – on display twice in Miami. The first time, she received side glances and thumbs up and thumbs down, but this time, she’s receiving death threats. 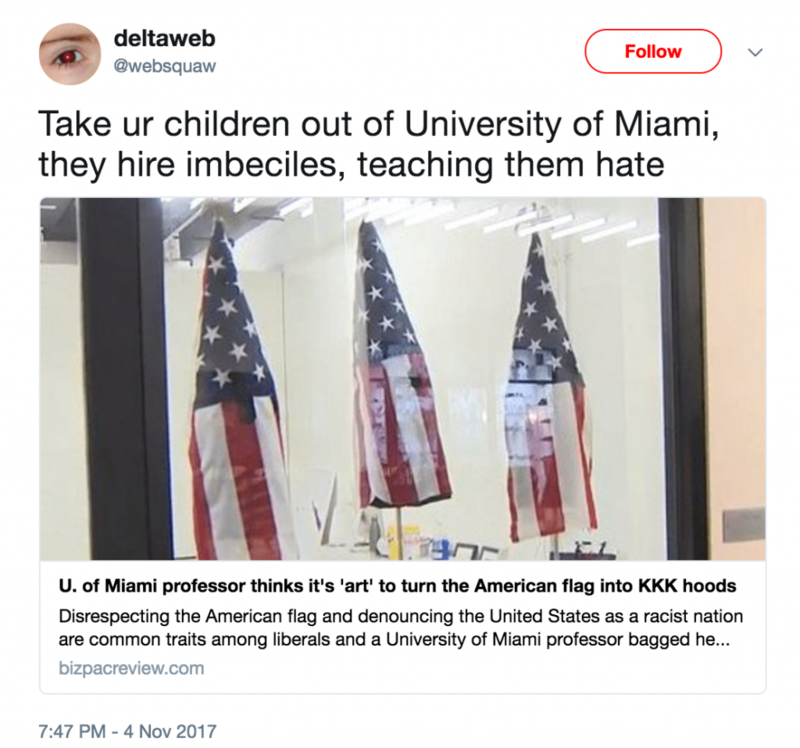 After putting the masks on display at UM’s Wynwood art gallery for the faculty art show, the university’s art department, the art gallery and Lynn started getting an influx of hate emails and phone calls numbering in the “thousands,” Lynn said. 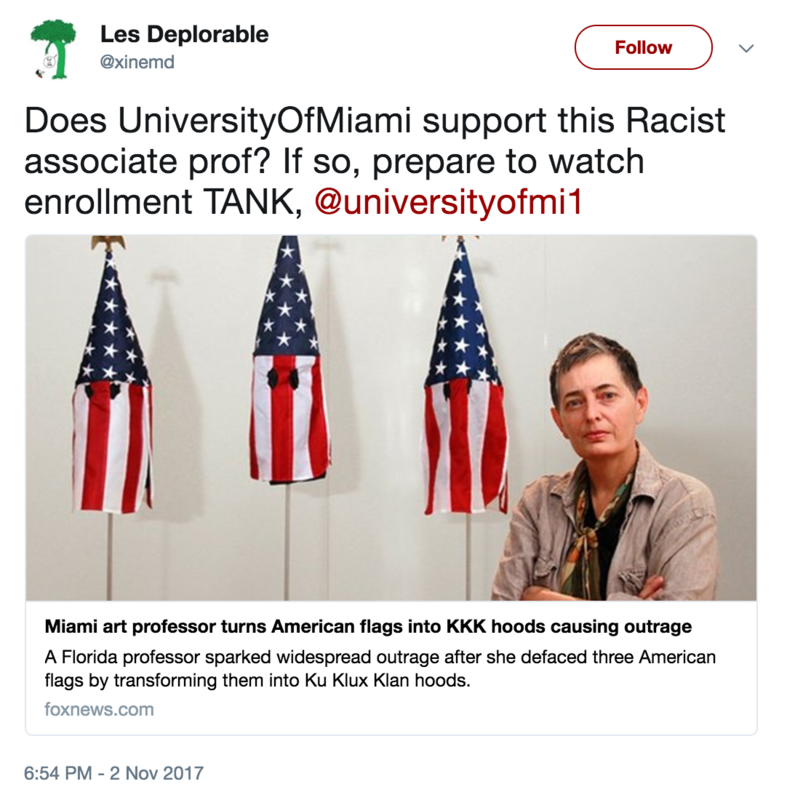 Since the piece was first installed at the window of the Wynwood gallery Oct. 17, media coverage of Lynn’s controversial exhibit has gone viral and some on social media called for the university to take action against her. The negative comments soon outnumbered the positive. The comments turned into death threats after Fox News sent a news crew to Miami to profile Lynn. Since the Fox story on Oct. 30, Lynn said she got thousands of emails wishing her death and disease. “I hope you die of phase four cancer,” one email read. The university has stood by Lynn and shown support for her and her art. 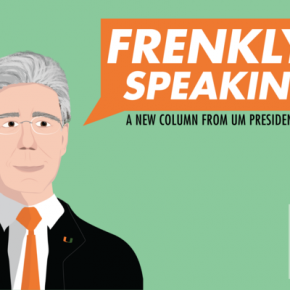 University President Julio Frenk sent out a message to the media reiterating that the university supports free speech and there will be no infringement on Lynn’s work. 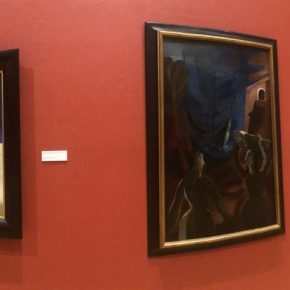 And “American Masks” will remain in place the university art gallery, too. “The art department is taking every safety precaution, but have no plans on removing the piece,” gallery director Milly Cardoso said. Lynn said she made “American Masks” to start a conversation about Americans disguising racism with patriotism. But, she said many people can’t see the artwork for what it is and they are overlooking the meaning. She said the comments she has been receiving reinforce the idea that she should not be silent about the injustice she sees. Lynn plans to use this energy and impact to make more art. She is now thinking of making a sculpture on the subject of gun violence. Lynn is also planning to write an essay on what this experience has taught her.